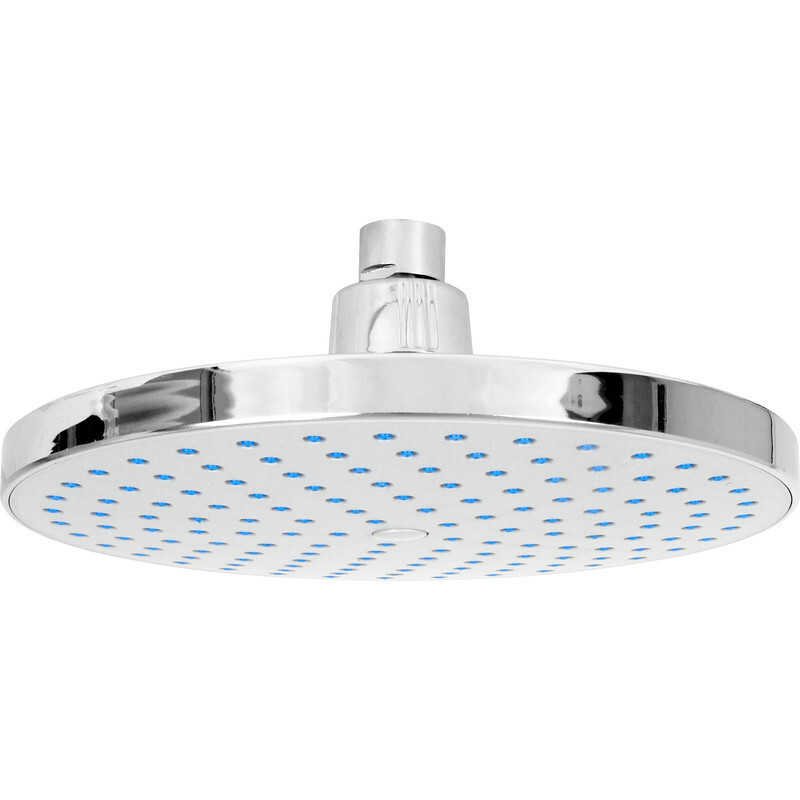 Round Rain Shower Head 195mm is rated 4.6 out of 5 by 13. Rated 5 out of 5 by SuzieSue from Replacement Shower Head Easy to fit to existing shower arm. No leaks. Looks good. Nice spray from the power shower. Rated 1 out of 5 by Wombles from Unfit It is not a standard fit so could not use. Rated 5 out of 5 by Bryan267 from looks ok, inexpensive and worked fine so far Been in for about 6 months and works fine, good quality fall of rain but I am on ultra high pressure here, so was worried about the plastic threaded nut that attaches it to the pipe. So far so good. Rated 5 out of 5 by Pete P from Torrential shower head This head transformed a lack lustre shower into a torrent..nowhere left to hide!